Bamboozled has been writing about New Jersey businessman Al Demola for five years. Now, if the state gets its way, Demola will never do business in the state again. The attorney general and the Division of Consumer Affairs filed suit earlier this week against Demola and his newest company, Titan Shelters, which offers bomb shelters to homeowners. According to the state’s seven-count complaint, and to several customers interviewed by Bamboozled, Demola took money for bomb shelters that he never delivered. He also advertised and offered such products in New Jersey without the required home improvement contractor registration with the state, the complaint said. The state alleges t hat Demola’s actions violated the Consumer Fraud Act, the Home Improvement Contractors’ Registration Act, and others. The state wants Demola to pay restitution to consumers and reimburse attorneys’ fees and costs, plus pay civil penalties that range up to $10,000 for each violation. The state’s claim covers consumer experiences that were featured in the Bamboozled column last year. The state alleges that Demola advertised Titan Shelters on television in the Virginia and West Virginia markets, and on its former web site. Then on at least two occasions, Demola traveled to those areas to meet with prospective customers and to sign contracts for shelter purchases, the state said. The complaint also alleges that Demola told certain customers to get loans for their bomb shelters from a Rhode Island bank, and then wire deposits directly to him. At least two consumers did so, to the tune of $24,500, the complaint said, and the consumers are still making payments on the loans. While not identified by the state, Bamboozled spoke to two customers who have those loans. Ken Clayton and his partner Scott Olson signed a contract for a $21,000 bomb shelter when Demola visited their Gainesville, VA home in December 2013, the couple said. They took a loan with a bank recommended by Demola, and then they sent a $2,000 deposit to Demola’s New Jersey address, and later wired $13,500 more, records show. But Demola disappeared with their money, the couple said. Tina Greene of Kinsdale, VA, also took a loan with Demola’s recommended banker. 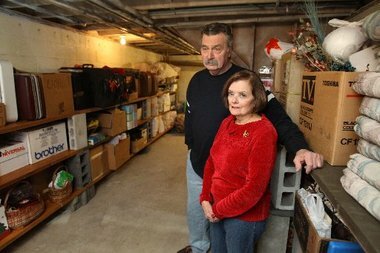 She’s still paying on a $12,000 loan for her undelivered bomb shelter. Greene is still making monthly payments of $188 on the loan. Consumer Affairs also wants to cancel Titan Shelters’ certificate of formation, and to stop Demola from owning or operating any other entity that advertises, offers for sale, sells and/or performs home improvements in New Jersey. Demola’s cell phone and numbers for Titan Shelters are no longer in service, but we reached his attorney. Al Demola is no stranger to Bamboozled. We first wrote about him in 2010 when Arlene and John Dolce had a dispute with Aqua-Dri, a basement waterproofing company owned by Demola. They gave Demola a $3,000 deposit on a $20,000 job to waterproof their basement and to remove the black mold the company said plagued the space. They asked for their money back the next day — within the three days allowed by law — after they saw Aqua-Dri had an “F” rating with the Better Business Bureau. After some prodding, more consumer complaints, and a second Bamboozled story, the couple received a refund. In the years that followed, we spoke to many homeowners who said they were dissatisfied Demola customers. Some said Aqua-Dri wouldn’t return deposits. Others did business with a new waterproofing company, Thrifty, which was registered in the name of Demola’s wife, Kim Costa’s. They complained of incomplete or substandard work. Still others did business with a company called Water Shield. 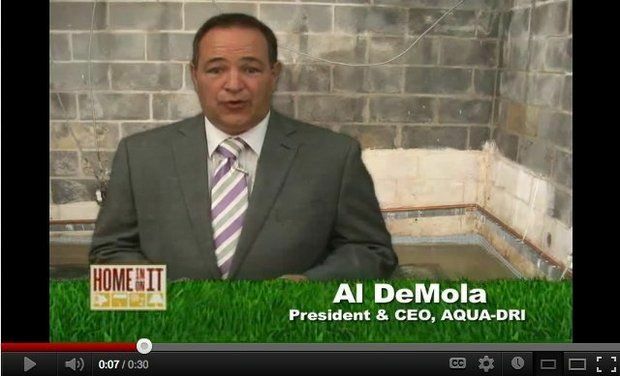 Homeowners said the Water Shield sales guy went by a different name, but they identified Al Demola from photographs. One couple took the company to court, winning a $200,000 judgment. They still haven’t collected. The state filing also listed BasementGuard as an “associated company,” and public records showed the GPS company had a home improvement contractor’s registration. Why would a GPS company need a home improvement contractor’s registration? When we called Demola about BasementGuard, the conversation took an unusual turn. He said he owned domains, or web addresses, in the names of some Star-Ledger editors, and he offered to sell them back to the editors. We confirmed that an anonymous buyer using a private domain registrar purchased the web names for the paper’s editor and publisher. The sites were redirected to a pornographic web site. Demola also called an editor at home, suggesting, among other things, that The Star-Ledger stop running stories about him and his businesses. It all led to a lawsuit against Demola by The Star-Ledger, which ended with a financial settlement, Demola handing over the domain names, and promise by Demola to no longer engage in such activities, said Richard Vezza, the paper’s publisher. Demola, meanwhile, continued his business interests. We learned Safety Net Technologies was registered in Demola’s wife’s name at that same Cranbury address. It also did business out of state, according to one customer who said Demola owed him $7,000. That’s when we learned about the bomb shelter business that’s the center of the state’s lawsuit. In 2013, Demola registered Titan Shelters, also based in Cranbury, with the state. Bamboozled met four separate customers from Virginia and West Virginia who said they gave Demola thousands of dollars to build bomb shelters on their properties, but no work was done. While the state’s lawsuit doesn’t cover Demola’s waterproofing businesses, those who say they were victims of those companies were pleased to hear the news. “Justice has finally been done.” said Arlene Dolce, the homeowner who was featured in Bamboozled’s first story about Demola. Aleta Heir, the woman who won a $200,000 judgment against one of the waterproofing companies, said she was glad authorities were able to act. You can be sure we’ll be watching this one closely, and we will absolutely keep you posted. Consumer Affairs asks that any consumers who have entered into contracts and experienced problems with Demola or Titan Shelters file a complaint online or by calling 1-800-242-5846 (toll-free within New Jersey) or 973-504-6200.